(SPOT.ph) The holidays are approaching and we’re seeing more festivity and cheer in the usual food offerings, in the form of Christmas desserts, dishes, or drinks. We wish they could have it all year round. But since it’s available for a limited time only, we’ve rounded up the latest Christmas-themed treats that are worth squeezing into that next shopping break. 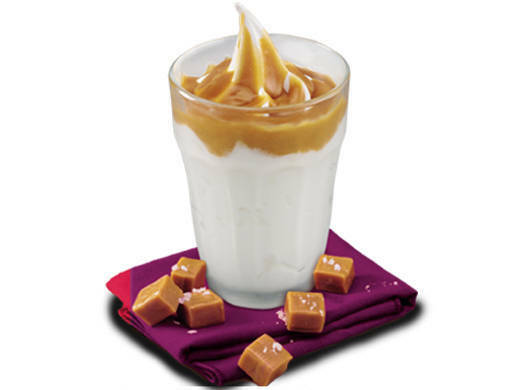 Jumping on the salted caramel bandwagon, McDonald’s tops its soft-serve ice cream with smooth, salty-sweet caramel. 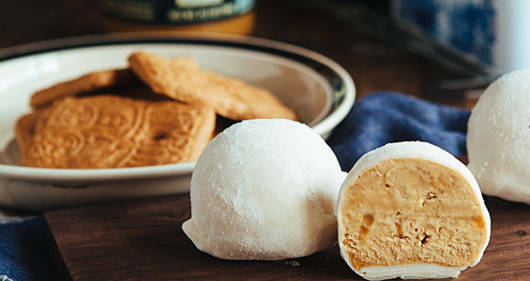 The mochi-a Japanese confection made of glutinous rice flour-is filled with speculoos-flavored FIC ice cream, Cookie Butter swirl, and a Biscoff cookie. 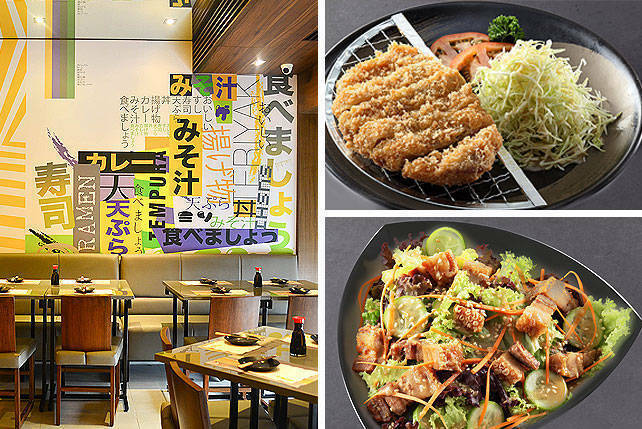 Click here for a list of Mochiko branches. 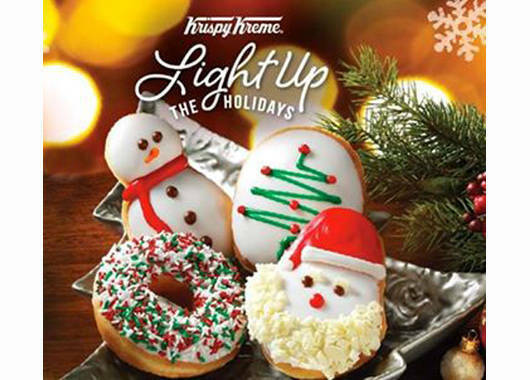 How cute are the snowman- and Santa Claus-shaped doughnuts! Krispy Kreme’s Holiday Doughnuts are frosted with white icing and decorated with red and green sprinkles and icing. The doughnuts will be available starting November 26. As with Eggs Benedict, a slice of forest ham is sandwiched between a stack of fluffly pancakes, which are topped with poached egg and a generous helping of hollandaise sauce. The pancakes are served with a side with pan-grilled pineapple. 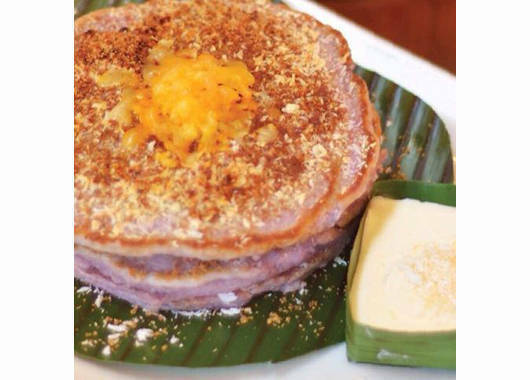 Early Bird takes the classic Pinoy Christmas treat as inspiration for its newest pancake creation. 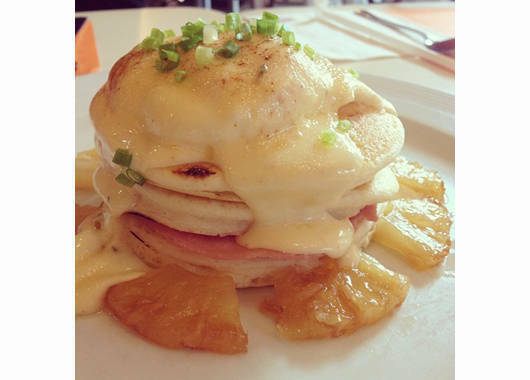 Early Bird Breakfast Club is at G/F, Fort Pointe 2, 28th Street, Bonifacio Global City, Taguig. 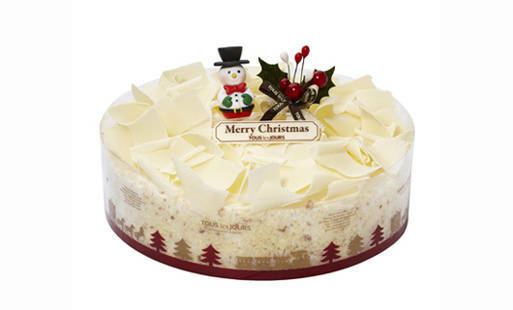 This cake, covered with white chocolate shavings, will remind you of a white Christmas. 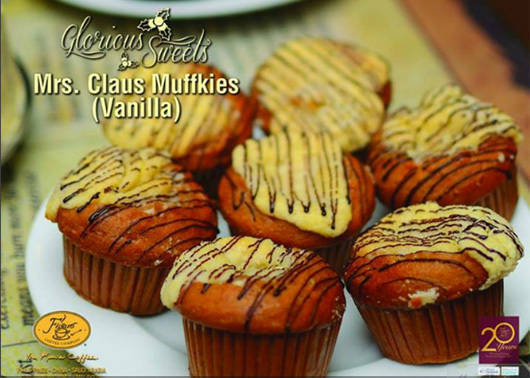 Figaro’s hybrid of muffins and cookies-muffkies-are flavored with chocolate or vanilla and overflowing with sour cream cheese. Click here for a list of Figaro Coffee Company branches. 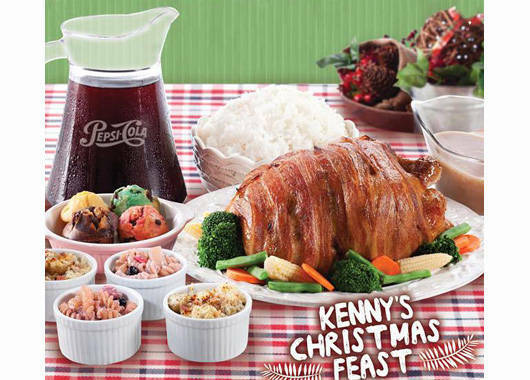 This merry feast includes a whole bacon wrapped chicken, four regular sides, four muffins, four rice, and a pitcher of Pepsi. Click here for a list of Kenny Rogers Roasters branches. The rich, buttery flavor of sweet toffee is combined with toasted nuts, blended with smooth espresso and steamed milk, and finished with whipped cream and toffee-flavored sprinkles. 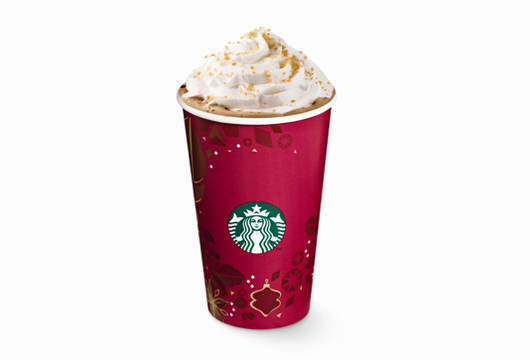 Perk yourself up for the day with this holiday drink. 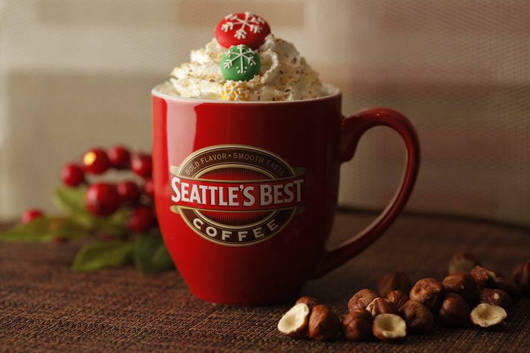 Seattle’s Best Coffee’s classic mocha is mixed with roasted hazelnut and coffee syrups, and topped with a cloud of whipped cream, crushed hazelnuts and snowflake candies. 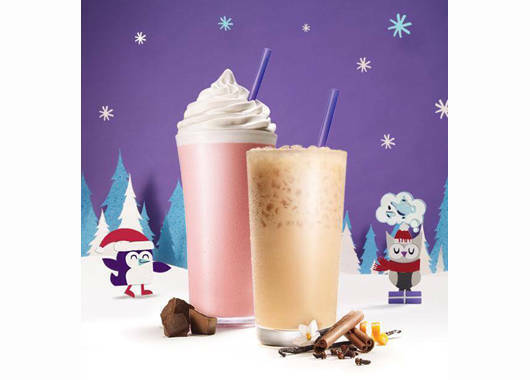 Enjoy it as hot mocha or ice-blended Javakula. Click here for a list of Seattle’s Best Coffee branches. Sip the sweet, creamy, and chocolate flavors of a red velvet cupcake. The tea latte is made richer with French Deluxe Vanilla and spices. Click here for a list of Coffee Bean & Tea Leaf branches. 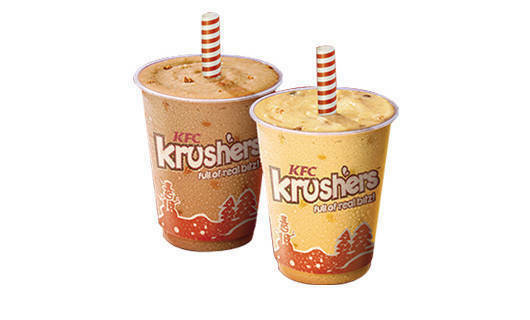 These Krushers variants take after favorite Christmas desserts. Kreamy Cheesecake Krushers is mixed with real cheesecake bits and graham crumbs, while Coffee Tiramisu Krushers is flavored with espresso and graham crumbs.